The Fresh Expressions movement – an Anglican and Methodist venture – is often fresh in form only. But in Bradford city centre the JustChurch and SoulSpace are reimagining the church in exciting new ways. Chris Howson, city centre priest, was radical in thought and action long before his ordination and has managed to shape ministry around an ongoing critique of the systems that oppress and steal. His first book, 'A Just Church' is the beginning of that story told with both practical examples of speaking truth to power and useful tools for the reader to go and re-imagine the church for her or himself. Part one tells some of Howson's own story, which he relates with characteristic energy, gregariousness, and deep reflectivity. His description of worship shows a genuine commitment to participatory pedagogy through oracy, play, and a sharing of leadership. It seems he intends to find a balance in Church life between corporate worship and prophetic ministry, creating an environment where community activism and campaigning are sustained in prayer. 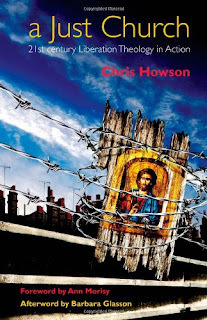 In Part two Howson introduces the reader to some of the global and local issues the Church has faced, including the misguided regeneration of a city centre, the government's endless love of war-making, and the struggle of the Burmese people for self-determination. Stories of solidarity with those seeking sanctuary in Britain show how the rhetoric 'bogus asylum seekers' affects real people's lives. Each chapter ends with suggestions that invite the reader to find her or his own story of non-violent resistance to empire in God's love. I would recommend this book to anyone who hasn't given up on Church but longs to build a new world in the shell of the old. I hope it inspires a new generation of Church leaders to be fresh, radical, and authentic in their expressions of the Church proclaiming the kin-dom of God. 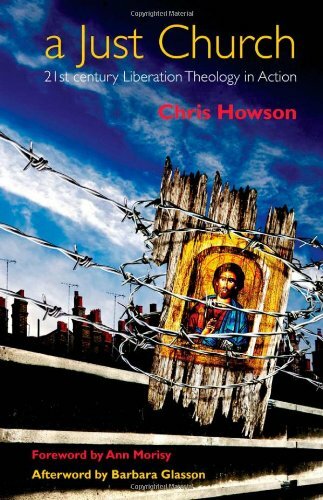 Christian anarchism: now in paperback.